Huddersfield have signed Wales captain Craig Kopczak on a three-year deal. 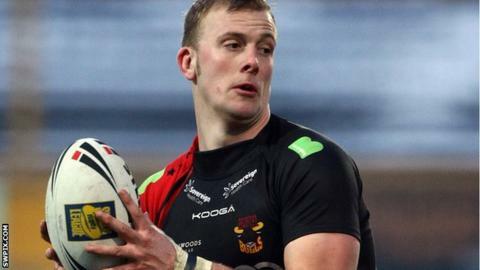 The 25-year-old prop left Bradford Bulls shortly before the end of last season and it is believed the Giants have paid some compensation to his former side. Giants coach Paul Anderson told the club website: "He is a player I have watched closely for a number of years. "He is the sort of no nonsense, go forward character that I want to see in our forward line next year." Kopczak is set to lead his country out against England in the second match of the autumn international series in Wrexham on Saturday. He added: "I have been fed up reading many of the comments attributed to my decision to simply look after my family's best interest and we are all happy that this is now behind us and we can move forward in a Giants shirt next season."